Karena Brock-Carlyle was named principal dancer of the American Ballet Theatre in 1973, sharing roles with such stars as Natalia Makarova, Cynthia Gregory and Carla Fracci, while being partnered with male stars such as Rudolph Nureyev, Ivan Nagy, Fernando Bujones, Ted Kivitt and Mikhail Baryshnikov. She has danced throughout Europe, Asia, Latin America, the United States and Canada and has performed at the White House for two presidents. She has taught Master Classes from coast to coast. Born in California, Karena, at age 14 joined San Francisco's Ballet Celeste and immediately after high school she became a soloist with the National Ballet of the Netherlands. She then returned to the United States to join the American Ballet Theatre in New York. She and her husband John are the founders of the Hilton Head Dance School. Karena is an ABT® Certified Teacher and has successfully completed the ABT® Teacher Training Intensive in Primary through Level 7 of the ABT® National Training Curriculum. John Carlyle was born in Swindon, England but began his training in Atlanta at City Center Dance Theatre under the direction of Robert Archard. In New York City, he studied with Robert Scevers on full scholarship at the Harkness School of Ballet. While in New York, John studied with some of the finest ballet instructors in the world, including Melissa Hayden, Robert Denvers, David Howard, Edward Villella, and with Bill Carter at The School of the American Ballet Theatre. He has danced professionally with City Center Dance Theatre, The Tampa Ballet and The Savannah ballet. Roles include Prince Siegfried in Swan Lake, the Cavalier in The Nutcracker, Oberon in A Midsummer Night’s Dream, and Rudy in Le Baiser de la Fee. John has been a guest artist with Columbia City Ballet and the Lexington Ballet. John and Karena have a son named Timothy. Katie took her first ballet class at Hilton Head Dance School in 1987 and continued until her graduation from high school in 2001. During her senior year, she had the opportunity to dance as the Sugar Plum Fairy in The Nutcracker and Odette/Odile in Swan Lake. Katie attended Mercyhurst College in Erie, PA and graduated with a major in Dance and a minor in Arts Administration. After graduation, she danced with the Connecticut Ballet. She returned to the Lowcountry to teach with John and Karena. Katie is an ABT® Certified Teacher, who has successfully completed the ABT® Teacher Training Intensive in Primary through Level 7 of the ABT® Curriculum. 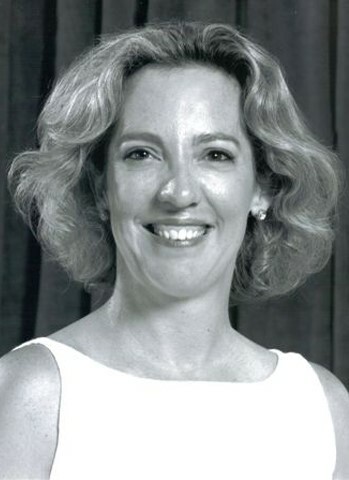 Wendie Perry is a graduate of Dean College with an Associate Degree in Dance including creative movement for children, classical ballet, tap, jazz and modern dance. Wendie moved to Hilton Head in 1993 from Massachusetts where she danced under the instruction of Mary Tolland at the Natick School of Ballet, an affiliate of the Royal Academy of Dance and former Rockette, Janet Miles. Wendie and her husband Bruce have two children, David and Matthew. Jamal began his training at Hilton Head Dance School at the age of 13. During his high school years he had the opportunity to dance soloist roles in Swan Lake, Coppélia, Sleeping Beauty and The Nutcracker. A graduate of Hilton Head Christian Academy and the University of Alabama, Jamal teaches ballet, tap and jazz. Kathleen Watkins moved to the Hilton Head area after spending three years with the Broadway Company of Fosse as a performer and Dance Captain. Originally from Albuquerque, New Mexico, Kathleen trained at the North Carolina School of the Arts and at the University of Utah with Ballet West. She has performed extensively in New York and around the United States and Canada in such shows as Cats, Anything Goes, Jesus Christ Superstar, Joseph and the Amazing Technicolor Dreamcoat, and Fosse. She also co–choreographed Sweet Charity for the Austin Musical Theater and Fame, Grease and The Wiz for the Hilton Head Community and Youth Theater. Caitlin is a native of Washington, DC. Inspired at a very young age by her sister, Kim, who danced alongside Karena with American Ballet Theatre, she has had a lifelong love of ballet. She began her training with Fiora Holmes, then Lillian Tcherkasky. While in college, she continued studying ballet, as well as jazz, modern, and tap, at Principia College in Elsah, IL. While there, she danced in various productions, helped form a student-run dance company, and has in the past few years helped organize summer dance reunions/workshops for alumni. After college, she continued her training in the DC area with Eric Hampton, Theresa Kramer, and Theresa d'Alessandro. In 2000, she was given the opportunity to share her love of dance with young students and began teaching ballet, jazz, and tap at the School of Theatrical Dance in Great Falls, VA. She moved to the Hilton Head area in 2011 and was thrilled to find Hilton Head Dance School and Theatre. She currently serves on the Hilton Head Dance Theatre Board of Directors.